Callaway's newest Rogue Driver combines the power of Jailbreak technology and X-Face VFT technology to promote high ball speed and long distance. 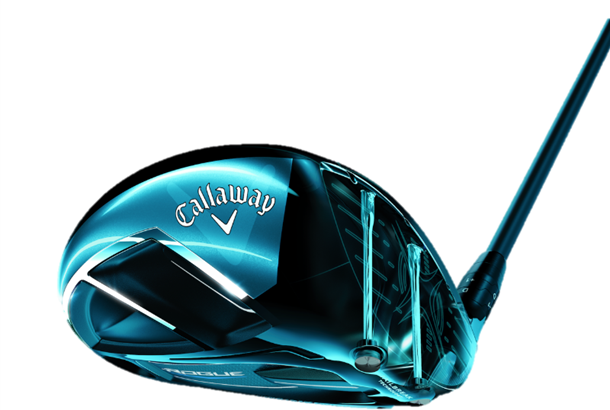 Callaway claim to have broken away from their own metalwood design protocal to once again reinvent the driver, inspired by a desire to dramatically change driver performance by changing the driver dynamics. They took the technologies that made the Callaway GBB Epic and say that they have supercharged those to create the Callaway Rogue Driver, a driver that combines all they know about boosting ball speed with a new, MOI-enhancing shape that they say delivers exceptional forgiveness. Callaway say their new Rogue driver produces 1.5- 2mph faster ball speeds than last year’s Epic, achieved by enhancing their revolutionary Jailbreak Technology with new, hourglass-shaped titanium bars which are 25% lighter to stiffen the crown and sole. 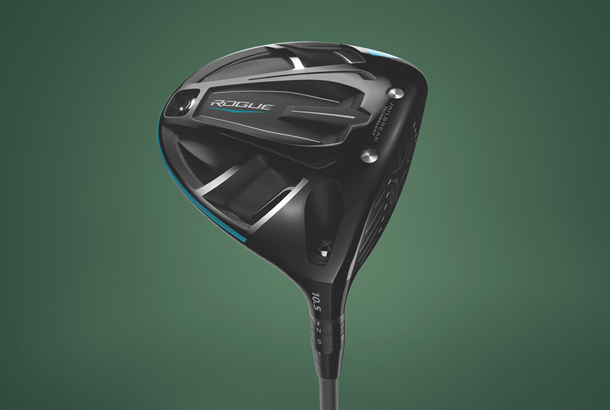 As a result of that the new stiffer body, the Callaway Rogue driver has a thinner face and better energy-transfer to the ball thanks to their new X-Face VFT architecture which thickens and thins strategic areas of the face to promote higher ball speeds on off-centre impacts and consistently high ball speed and long overall distance. By removing the sliding weight track at the back of the head, the Callaway Rogue driver also has a 15g weight saving over Epic. Why is that important? Repositioning that weight delivers more forgiveness and a 16% tighter shot dispersion. Along with an improved aero package. Features similar game-changing "jailbreak" tech found in last year's Epic, but pumped full of more performance for 2018. No weight track saves 15g; the stretched head is 10% bigger; and because MOI performance has increased by 600 points Callaway says dispersion is 10% tighter than Epic. All the tuning is said to add up to 1.5-2mph of extra ball speed over the Epic. Rogue is light years ahead of last year's Epic. It has a more user- friendly stretched head shape which for a majority of us will boost con dence on the tee. Our pro produced his fastest average ball speed and longest average carry (274 yards, shared with TaylorMade's M3) with the Rogue. That speaks volumes about its excellent combined package of distance with forgiveness. 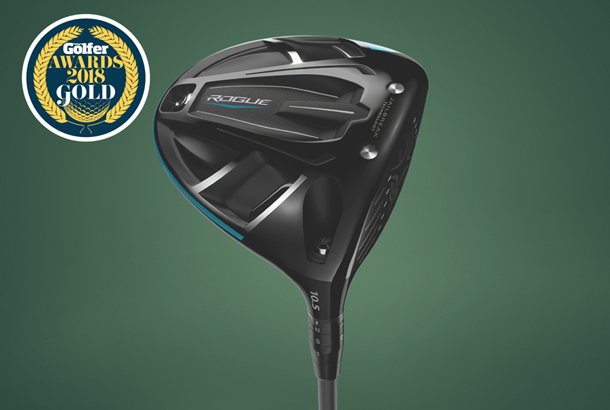 A similarly strong performance for TG Editor Chris (who's prone to spraying shots all over the face) racked up his longest average carry (238 yards), meaning Rogue is an excellent match for lots of club golfers too. One of our top three drivers of 2018. Yes, £469 is a lot of money for a golf club, but this is alotofclub–andit delivers on its distance promise. For the average club golfer the Rogue's a leap forward in terms of forgiveness, too; just make it your business to get the right shaft as there's plenty to choose from. New boundary-layer geometry increases the Speed Step's efficiency for better airflow and more head speed. 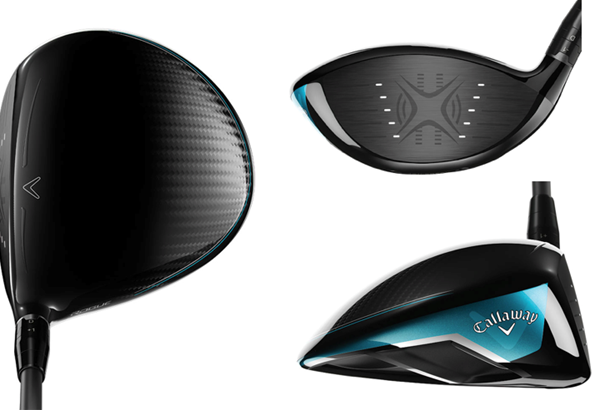 The largest ever carbon composite surface area in a Callaway driver. Its light-and-strong composition saves weight that's redistributed to increase MOI. Choose from 40g, 50g and 60g weight classes — Aldila Quaranta, Aldila Synergy, Project X Even Flow. 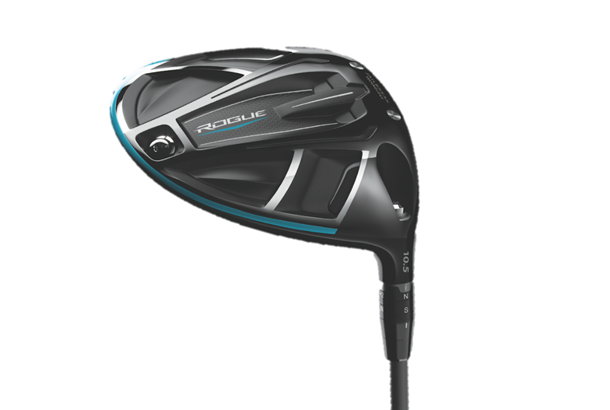 Both Rogue and Epic are 460cc drivers, but the new Callaway Rogue Driver is stretched from face to back and slightly from toe to heel. To get this look in a conforming driver we used a atter crown compared to the Epic.